The U/14 ACT Girls after taking out Pool B at the NYC in Coffs Harbour. 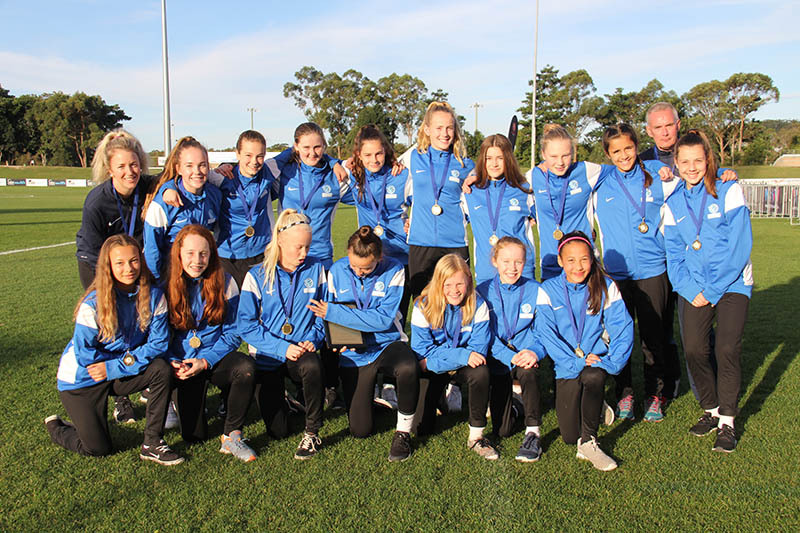 Capital Football’s U/14 Girls side were crowned Pool B Champions at the Westfield National Youth Championships for Girls in Coffs Harbour last week. Having not dropped a point all week throughout their Pool, the side produced a strong draw against Pool A heavyweights NSW Metro to finish off the week. The Capital Football U/15 side also performed strongly throughout the week, pulling out some strong wins in their campaign. Capital Football CEO Phil Brown said the performance of the U/14’s was a great indicator of the talent level present in the ACT & surrounding region. “Going the entire week undefeated, including a draw with NSW Metro, is a fantastic effort,” Brown said.